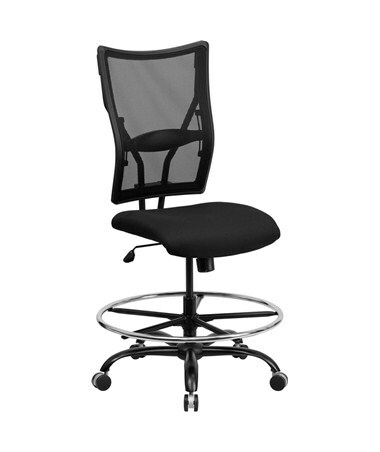 The Flash Furniture Hercules Mesh Drafting Chair is designed for big and tall people, with a weight capacity of 400 pounds, a heavy duty black metal base with swivel wheels, and an extra large height adjustable chrome foot ring. 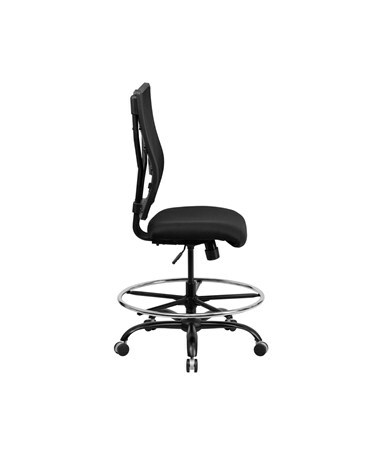 This heavy duty ergonomic chair features adjustable lower back support and helps promote good circulation with a curved “waterfall” front edge on the seat. 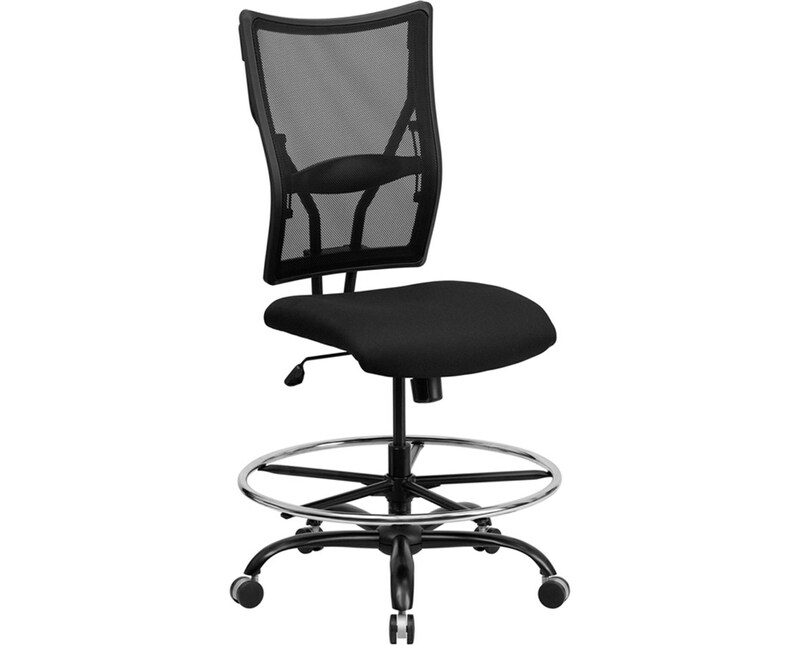 The molded foam seat cushion is 19½ inches long and 18 inches wide. 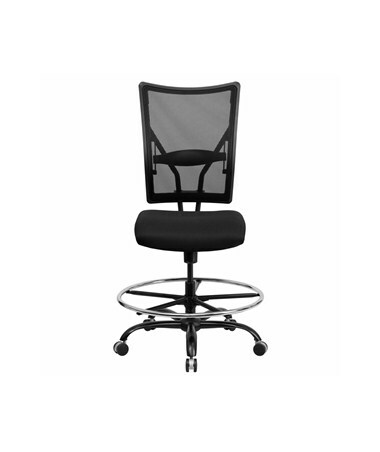 The seat swivels and is height adjustable from 29 to 26 inches. 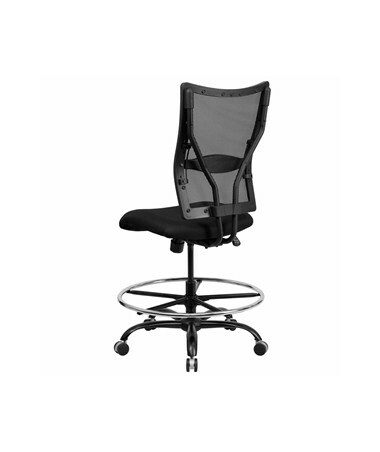 The mesh back rest measures 18 inches wide and 24 inches tall and has a locking back angle adjustment for stability.